ALWILL ARCHITECTURE + INTERIORS ARE A BOUTIQUE DESIGN SERVICE WORKING ALONGSIDE EACH OTHER. WE OFTEN COLLABORATE AND WE ALSO WORK INDEPENDENTLY. WE ARE A SMALL TEAM OF SIX TALENTED DESIGNERS WHO SPECIALISE IN TAILORED RESIDENTIAL AND BOUTIQUE COMMERCIAL PROJECTS AND OFFER A 'PERSONAL' SERVICE. ALWILL BELIEVES IN HAVING A STRONG CONCEPT, TAILORED TO THE INDIVIDUAL CLIENT, WHICH INFORMS AND RESPONDS TO EVERY ASPECT OF DESIGN. FROM THE BIGGER PICTURE PLANNING TO THE WAY ONE OBJECT SITS NEXT TO ANOTHER. COMFORTABLE, EFFORTLESS, REFINED LUXURY IS WHAT WE STRIVE FOR. OUR SERVICES COVER MASTER PLANNING, ARCHITECTURE, NEW BUILDS, ALTERATIONS AND ADDITIONS, RENOVATIONS, INTERIOR ARCHITECTURE, INTERIOR DESIGN AND STYLING, ART CONSULTANCY AND PROJECT MANAGEMENT. WE OFTEN COLLABORATE WITH OTHER CONSULTANTS. WE HAVE OFFICES IN THE CITY CENTRE AND ALSO THE NORTHERN BEACHES. NADINE (PRINCIPAL -ALWILL DESIGN/ARCHITECTURE) IS A REGISTERED ARCHITECT WITH 18 YEARS EXPERIENCE IN THE INDUSTRY WORKING FOR FIRMS SUCH AS TOBIAS PARTNERS, TIM ALLISON ASSOCIATES AND KERRY HILL. SHE HAS ALSO WORKED ON PROJECTS INTERNATIONALLY FOR AMAN RESORTS (SINGAPORE) AND MASTER PLAN PROJECTS IN ABU DHABI. ROMAINE (PRINCIPAL - ALWILL INTERIORS) IS A QUALIFIED INTERIOR ARCHITECT (UNSW BIA.HONS 2000) AND PRIOR TO RUNNING HER OWN BUSINESS (FOR 10+ YEARS) HELD THE POSITION OF BELLE MAGAZINE'S INTERIOR DESIGN EDITOR AND HAS HAD A DESIGN MEDIA PRESENCE IN PRINT AND TELEVISION. 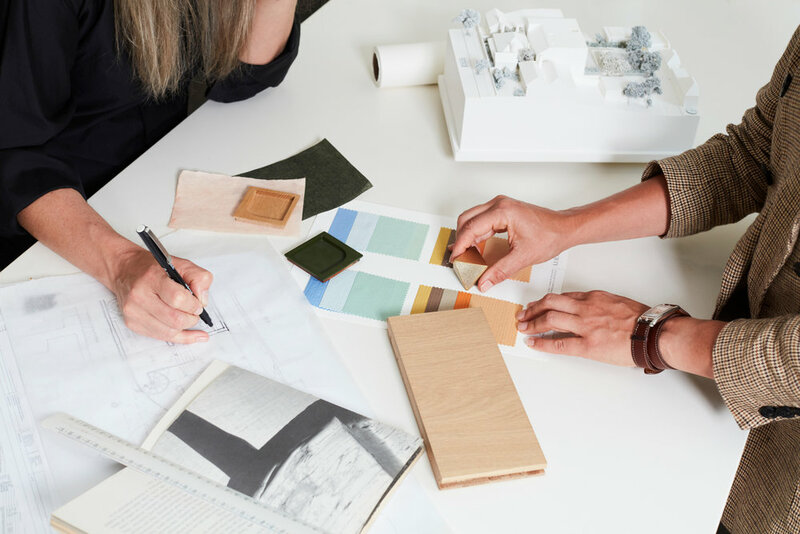 ALWILL INTERIORS ALSO WORKS WITH OTHER ARCHITECTS (SUCH AS LUIGI ROSELLI AND TOBIAS PARTNERS) AND SEE'S EVERY PROJECT AS A CREATIVE COLLABORATION WITH CONSULTANTS AND CLIENTS. WE HAVE SOME 30 YEARS OF COMBINED EXPERIENCE IN THE DESIGN INDUSTRY. THESE ARE JUST SOME EXAMPLES OF OUR RECENT WORK. IF YOU WOULD LIKE TO SEE MORE FROM OUR ARCHIVE PLEASE CONTACT US ! WE'D BE HAPPY TO CHAT WITH YOU ABOUT YOUR PROJECT.